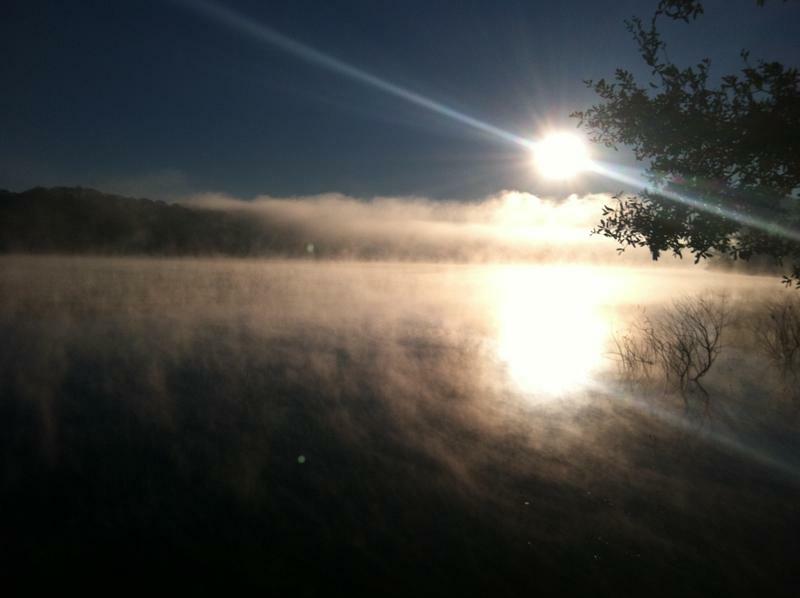 Photo courtesy Caroling Geary, Florida Trail Association. 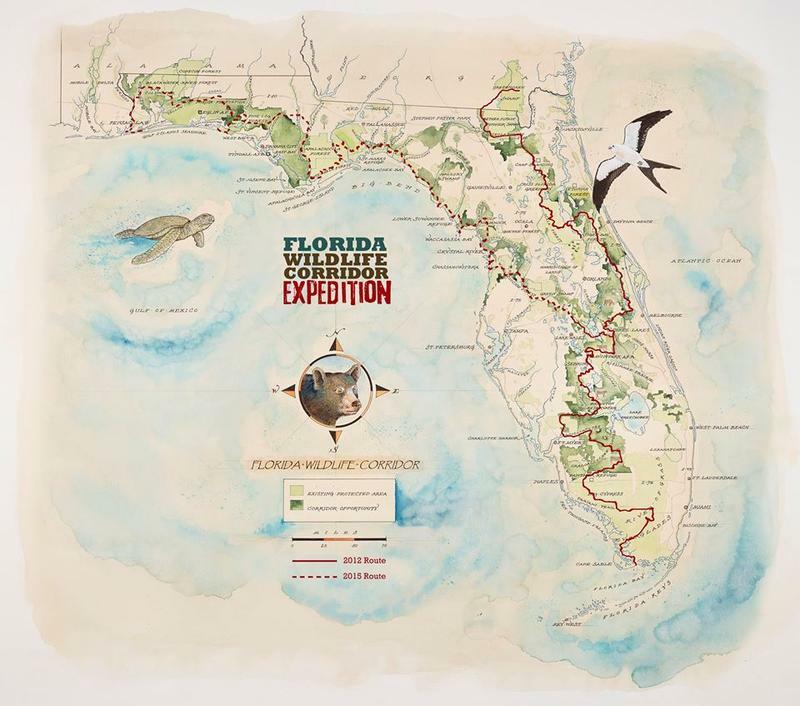 The Florida Wildlife Corridor Expedition mainly goes through places untouched by man, where you can feel like you're not living in the nation's third-largest state. It's not just subdivisions and roads the wildlife expedition - not to mention the wildlife itself - has to navigate. I'm standing in a cattle crossing underneath I-4, just northeast of Lakeland. Places like this are one of the reasons why the wildlife corridor expedition started. 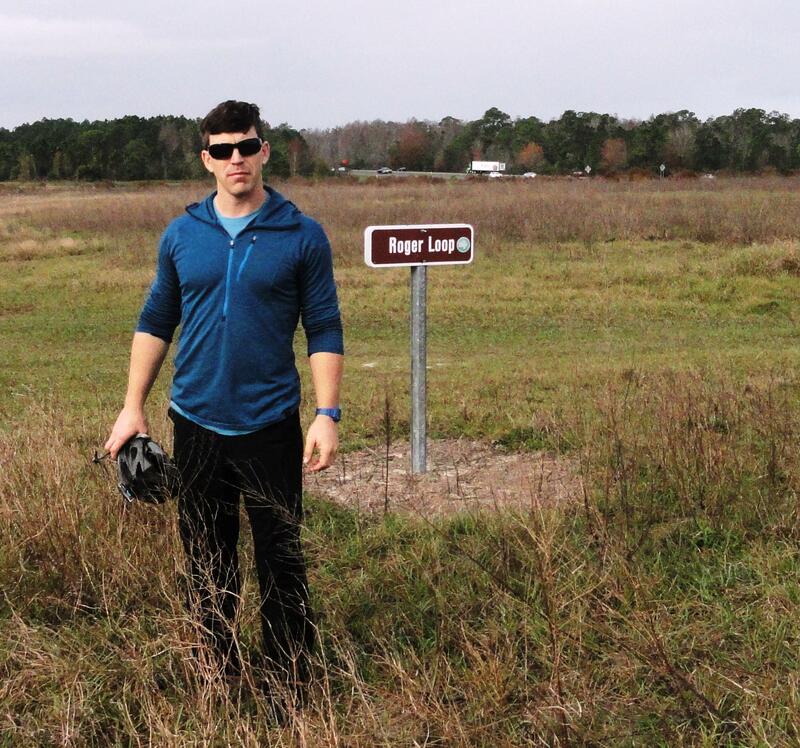 Bear biologist and expedition member Joe Guthrie had tracked a bear from around Lake Okeechobee going north - presumably to find a mate - he kept bumping up against I-4, and then he ended up going back to Lake Okeechobee again. So part of this mission is to publicize the need to have safe wildlife crossings over really dangerous places for wildlife, like Interstate 4. That was just two days after the expedition started, back in January. 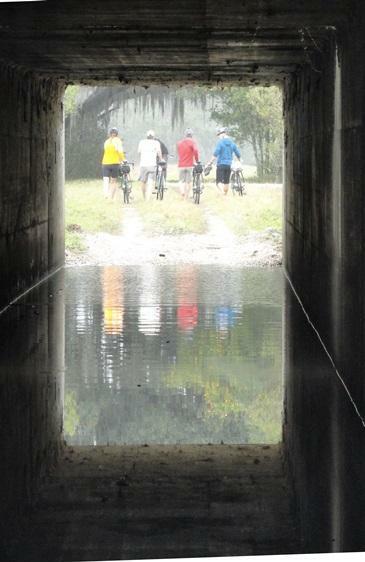 A week later, they were able to glide by kayak under I-75 along the Withlacoochee River. And in the last weeks of their trip, Interstate 10 will present a concrete-and-car barrier to their path - twice. There are currently no plans to place wildlife crossings under I-10. Although they've been able to put them under some smaller local roads, it hasn't been easy. "Before it was built, thousands and thousands of turtles and also alligators, snakes, a lot of reptiles and amphibians were killed," says Matt Aresco. He's director of Nokuse Plantation in Freeport. At 53,000 acres, it's the largest private conservation project east of the Mississippi. 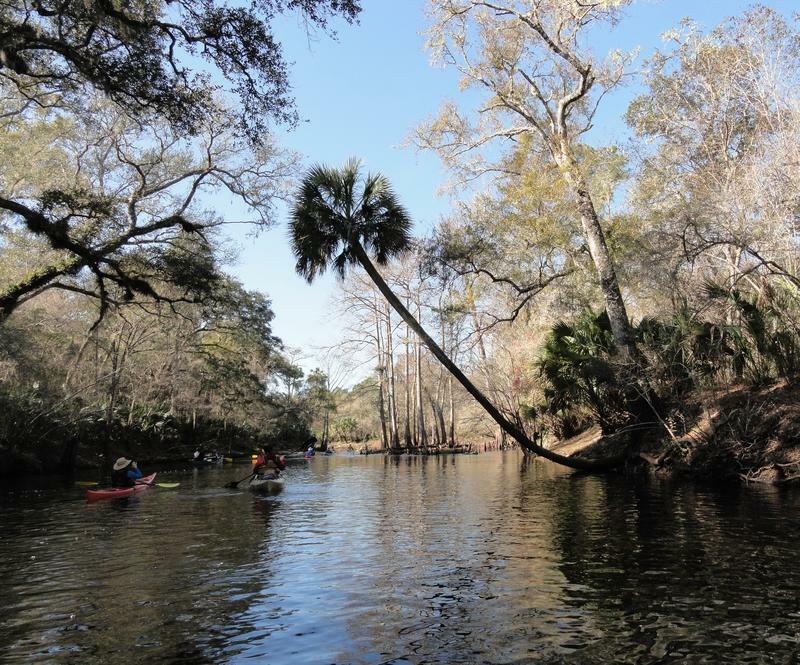 It's considered a vital link between large conservation lands to the west, including Eglin Air Force Base Reserve and Blackwater River State Forest, and the Conecuh National Forest in Alabama, and the Choctawhatchee River Wildlife Management Area to the east. 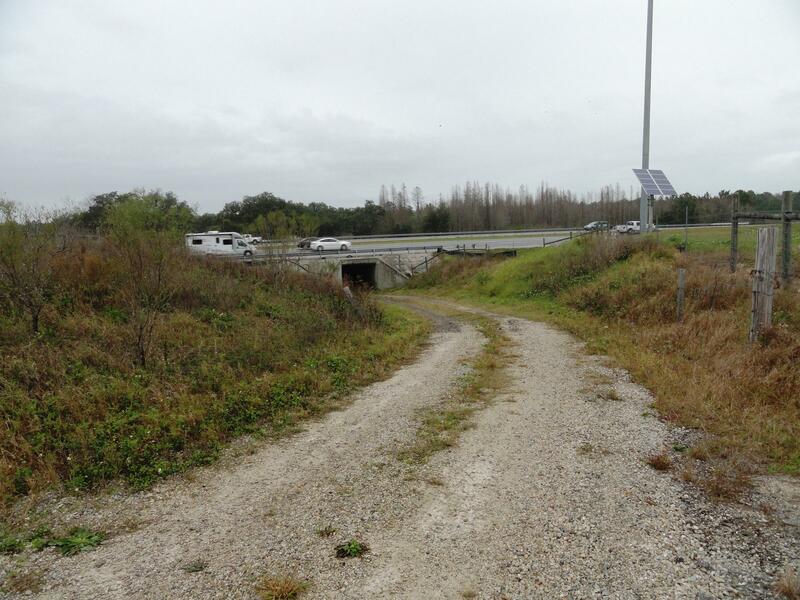 Aresco was also a key force in getting the first wildlife underpass built in the Panhandle, under U.S. Highway 27, off Lake Jackson near Tallahassee. But his quest at the state Department of Transportation took a decade. 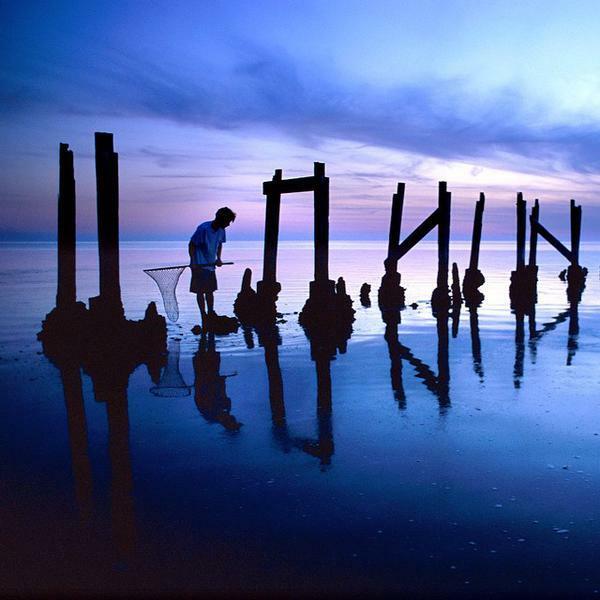 "When I first started the project, it was in 2000. The first day I was out there when I walked that section, I found 90 dead turtles in a third of a mile. And that's what started me on a 10-year crusade," he said. "When I had brought them the data - 90 dead turtles! - I had piled all the shells up on a tarp and I took photos of it - it was a massive pile. I thought, when anybody sees this, they're going to want to go out and immediately solve the problem. But little did I know how slow things move." 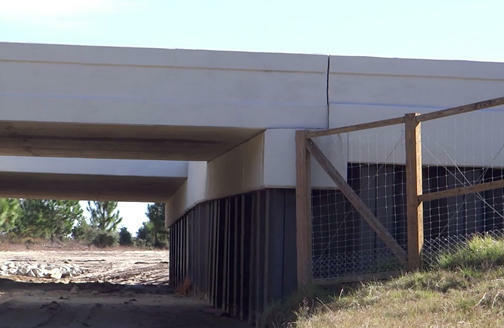 Aresco eventually got another underpass built on U.S. 331, just north of Freeport in the Panhandle. When asked if a lot of animals use the underpasses, Aresco says: "Absolutely. Hundreds and hundreds of tracks. Turtles, alligators, all different kinds of animals. And there's no dead animals on the highway. We used to find dead turtles every day." 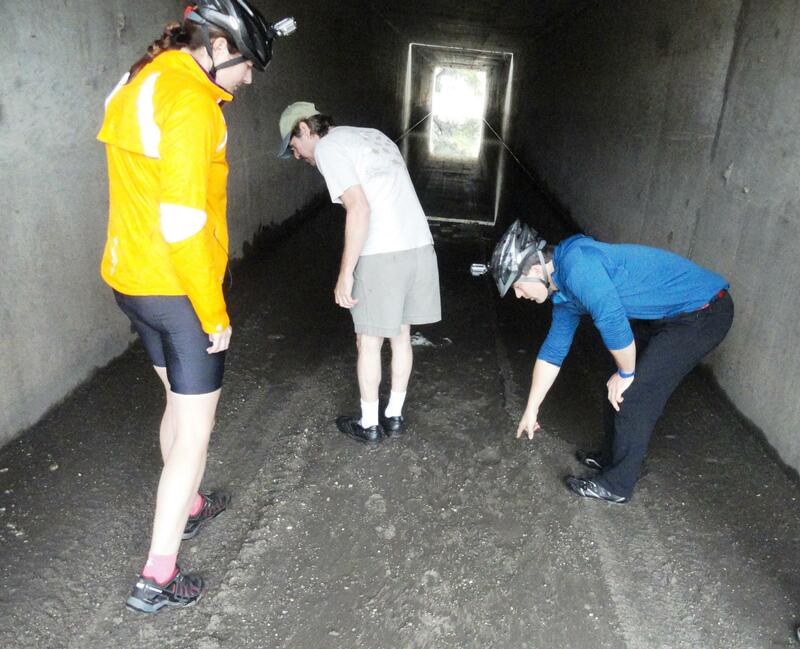 Further south, Florida has been a trailblazer in the use of underpasses. 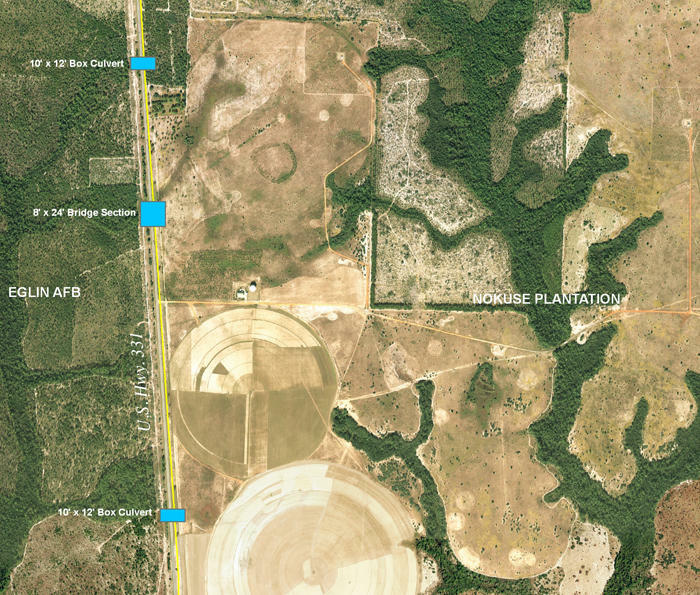 They've been around since the 1980s, with the widening of Alligator Alley through the Everglades. And three underpasses were built as Interstate 4 was recently widened, between Orlando and Daytona Beach. We also know the animals are using the underpasses, because people are taking pictures. 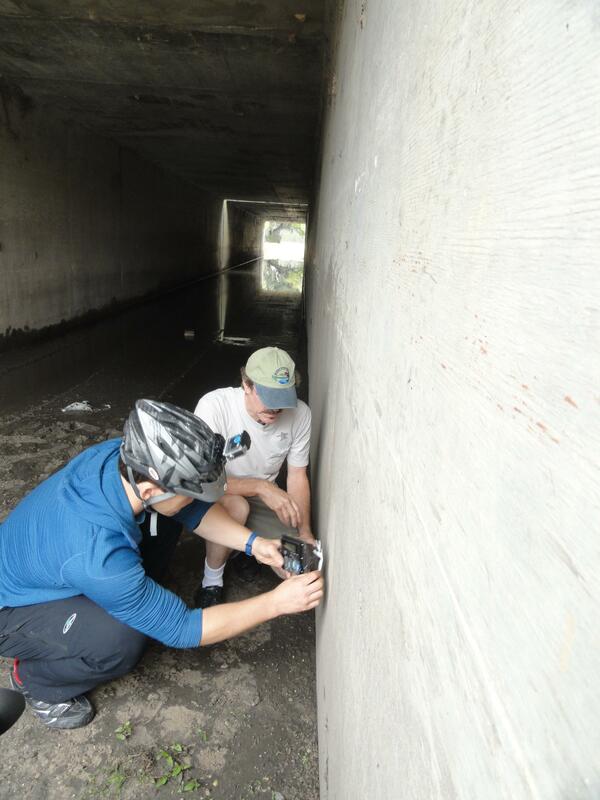 University of Central Florida biologist Daniel Smith installed cameras under the I-4 crossing. "So what we've got here is an infrared trail camera, it's triggered by motion and heat, and it will tell us when an animal passes by here, it will take a photograph," Smith told Joe Guthrie before they passed under I-4. "Wildlife crossings aren't necessarily in the public's mind in areas like this, but it's absolutely critical - especially with climate change as development increases, that we provide connections across roads in these corridors that are continuing to narrow as development increases." When asked if there's enough political will to get money to pay for these crossings, Smith says it all depends on which "poster child" animal's plight - like black bears - is being bandied about. "The large animals seem to garner more attention - the soft and fuzzies," he says. "So there is a little bit of energy from the public side to get politicians to spend money on this, but it isn't as good as it should be. 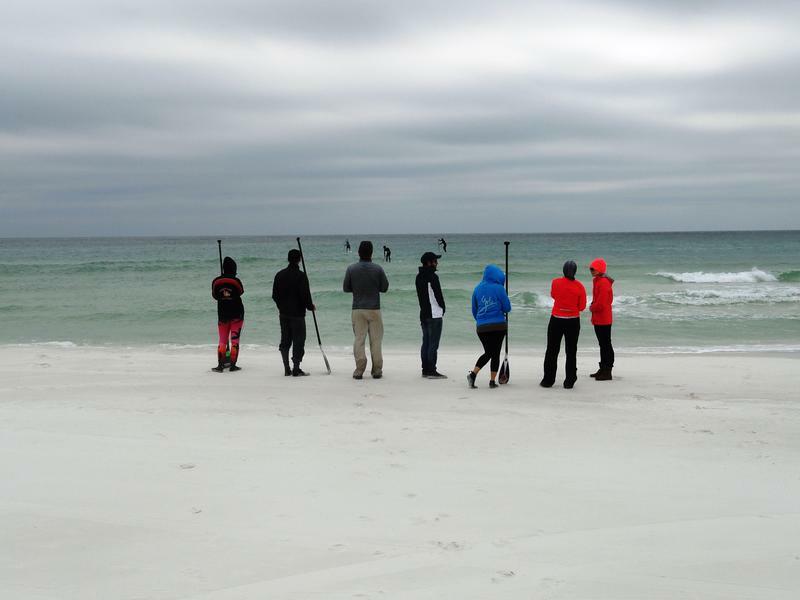 So expeditions like this are really important to get the message out how important this is." And with money from recently-passed Amendment 1 on the line, that message is becoming a lot more important. 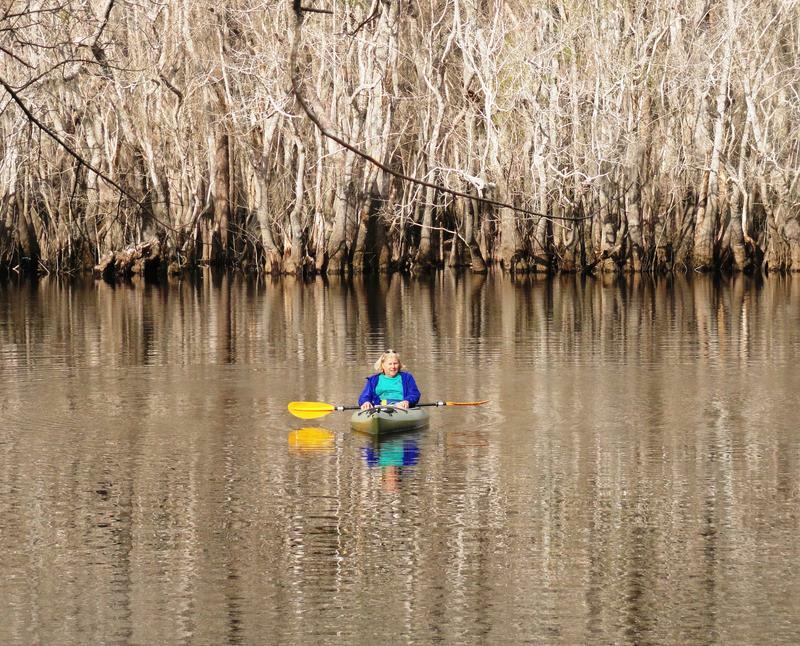 This Saturday, March 14, the expedition will participate in a 3-mile paddle at Blackwater River State Park, with members from the Florida Park Service.